With the new year comes change and what better way than with a new look! There's nothing quite like the feeling of leaving the salon with a hair that feels and looks healthy. Now, it's easier than ever to change up your hair. There are endless color and style options to customize the look you want. We picked some of our favorite cut and color looks from the #MyHCLook photo gallery to give you some inspiration! All looks featured are done by our Salon Professionals at Hair Cuttery. 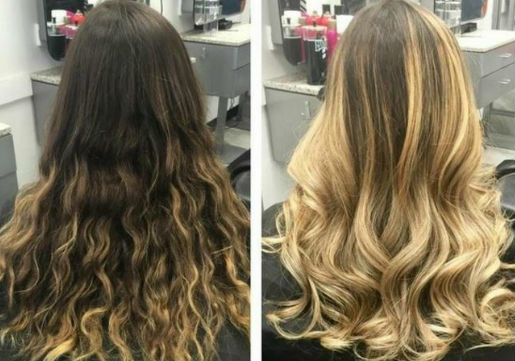 We love this hair trend that's a great change for blondes to go darker or brunettes to go lighter. 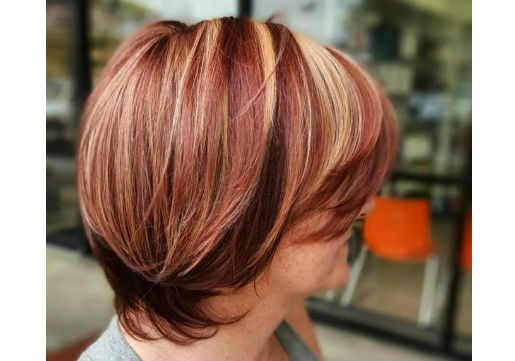 Beautiful highlights add dimension to the versatile long pixie cut. 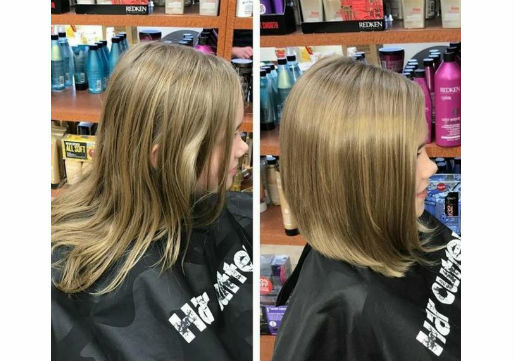 Talk to your HC Salon Pro for styling tips for this cut. Deep vivid blues & purples look stunning on brunettes. Make sure to follow your HC Salon Pro's advice on home haircare to prevent color fading. 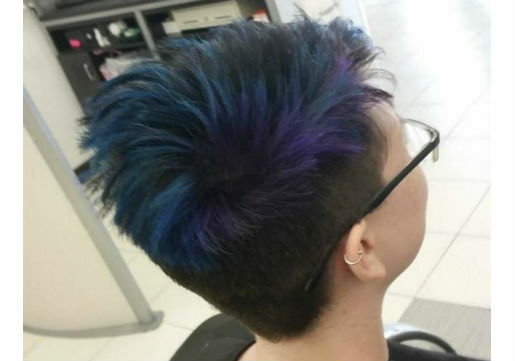 Customize your look with vivid hair colors with placement. The variety in vivid hair colors provides many options, so talk with your HC Salon Pro about the look you want and bring photos! 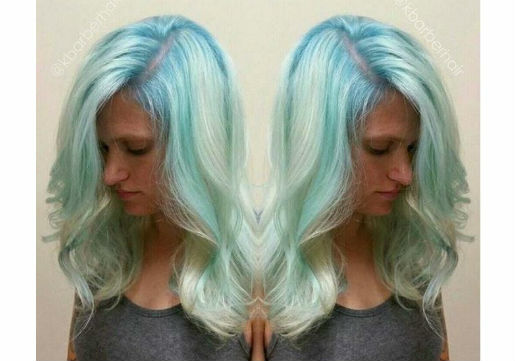 If you already have ombre, turn it up with some vivid color. 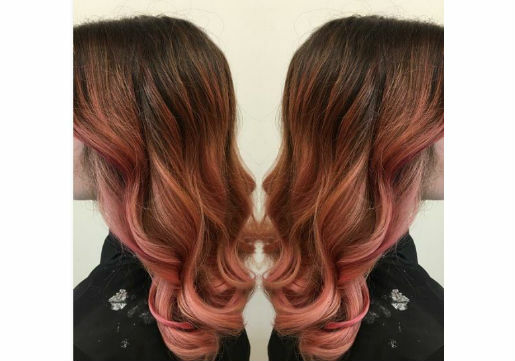 For a subtle change, go with pink for a rose gold color results like this. 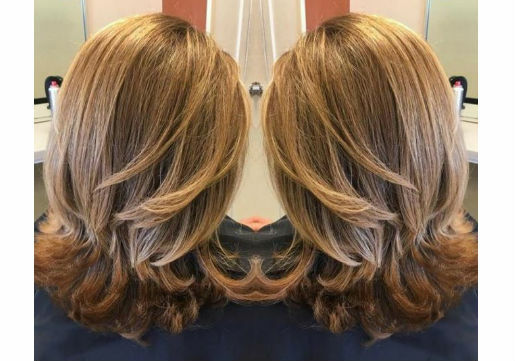 Lighting up your locks can really give you a dramatic change, but be sure to talk with your HC Salon Pro about how light you can go based on your hair condition. Fresh and forever chic, the bob is a classic option to go shorter. To maintain a smooth look, try Cibu Smooth Shampoo & Conditioner. Add dimension and shine with our Gloss It Up service that uses Redken ShadesEQ, a demi-permanent color that is gentle on hair. Highlights look so natural with the babylights technique of application. 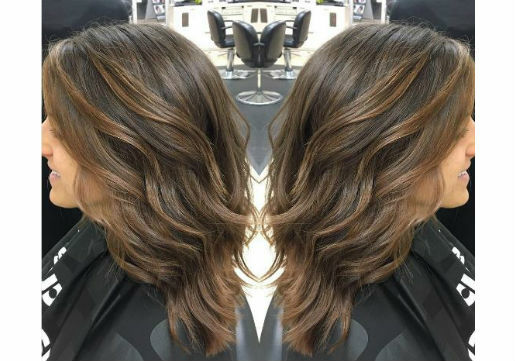 It a great way to lighten up and add dimension to darker hair tones. 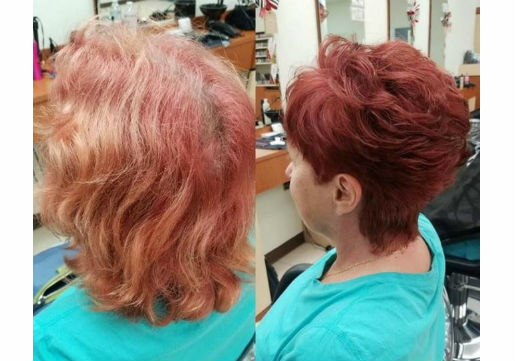 We love this rich red color and sassy pixie cut! Keep color vibrant with Redken Color Magentics haircare. 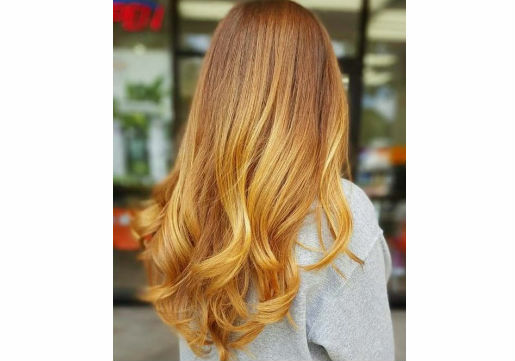 We love the copper color and richness of this balayage look. To keep long hair moisturized during winter, we recommend Redken All Soft haircare. 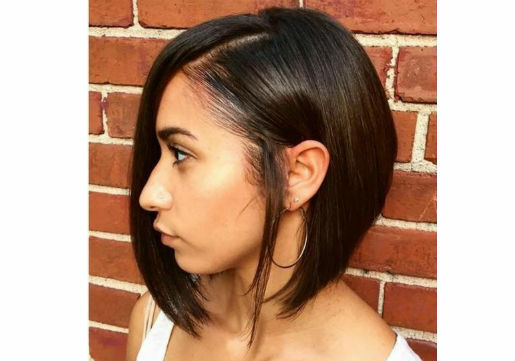 This cut is so versatile and you can customize it to any length. 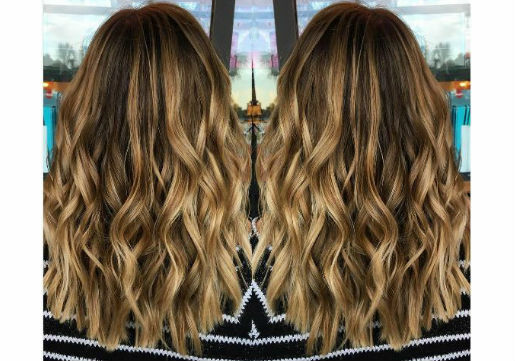 Wear it wavy or straight, it's easy to style in so many ways. At Hair Cuttery, we have all the professional home haircare products you'll need for keeping hair healthy this winter and styling products to change up your look. Check out our YouTube channel Hair Cuttery TV for how-to videos on styling and products recommendations to achieve different looks. You can be featured on our #MyHCLook photo gallery by sharing your before and after looks on Instagram or Twitter. Simply add #MyHCLook to your post and tag your salon location. Plus, you could be our next Fan of the Month and get a customized prize pack just for you! Happy New Year from Hair Cuttery!